Having already won the ODI series against New Zealand by winning the first three matches, the Indian team took on the hosts in the 4th ODI at Seddon Park in Hamilton. New Zealand skipper Kane Williamson won the toss and decided to bowl first. 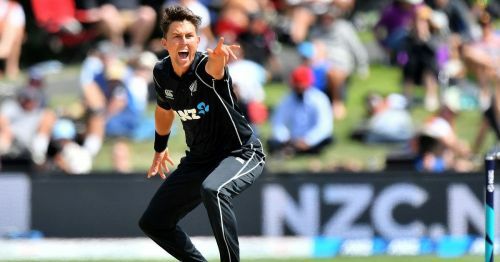 Put into bat, the Indian line up came to a grinding halt in front of quality swing bowling by Trent Boult. The visitors were dismissed for a paltry score of 92 in 30.5 overs, with just four of their batsmen reaching double digits. Despite losing two early wickets, the New Zealand batsmen hardly broke any sweat and chased down the small target of 93 runs in just 14.4 overs to register their first win in the 5 match ODI series. Let's see how the players from both sides fared in this one-sided encounter. All ratings are given on a scale of ten. Leading the team in absence of Virat Kohli, Rohit Sharma did not have a great outing in his 200th ODI. The stand-in skipper was dismissed for just 7 runs by Trent Boult. Shikhar Dhawan was the first Indian wicket to fall to the moving ball. He was trapped in front by Boult for 13 runs in the 6th over. Making his debut, the highly rated 19-year-old Shubman Gill did not have a good start as he could score just 9 runs before becoming one of the five victims of Boult. It can be said that Rayudu's batting technique got exposed in testing conditions. He was dismissed for a duck while playing a horrible shot against Colin de Grandhomme. Dinesh Kartik was also dismissed for a duck by as he nicked one behind to the wicketkeeper off de Grandhomme's bowling. Like all the other Indian batsmen, Kedar Jadhav struggled for runs before getting trapped in front by a beauty from the left-arm pacer. The all-rounder was one of only four Indian batsmen to reach double digits. However, he succumbed to a fierce short ball from the unstoppable Boult. Bhuvneshwar Kumar could score just one run with the bat. However, he bowled impressively with the new ball by picking up two early wickets to help India put up some fight. Unlike India's top order, Kuldeep Yadav offered some resistance on a tough batting pitch and scored 15 runs off 33 balls before being caught at the deep backward square off the bowling of Todd Astle. The leg-spinner was India's top scorer in the match. He scored an unbeaten 18 runs of 37off balls to take the total to 92. However, he failed to replicate his good batting performance as his bowling was smashed for 32 runs in just 2.4 overs. 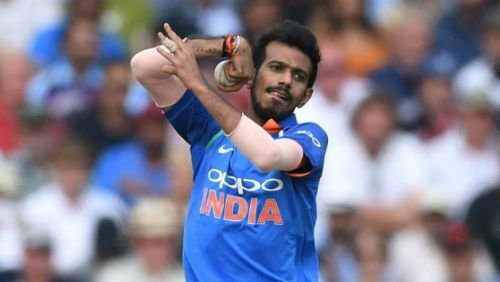 Playing the match in place of rested Mohammed Shami, young Khaleel Ahmed failed to provide early breakthroughs in his 3-over spell.